Sign up for Broadjam today to follow Barry Mangione, and be notified when they upload new stuff or update their news! Barry Mangione is a singer/songwriter from Yorktown Heights in upper Westchester County, New York. 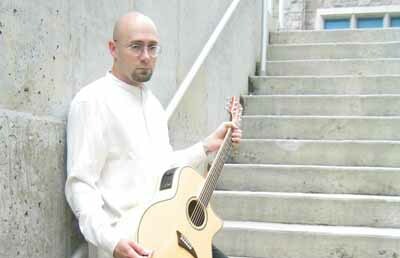 He has been performing for about two decades and currently plays clubs and coffeehouses in Manhattan and Westchester as a solo acoustic act. His original music is a mix of styles ranging from the gentle acoustic ballads of James Taylor to the cranked-up hard rock of vintage Aerosmith. His lyrics cover the universal themes of love, finding you place in the world, and being overworked and underpaid.